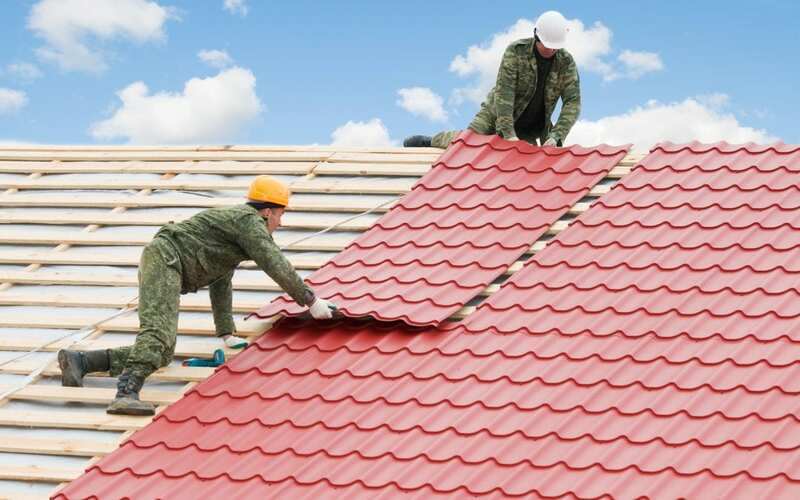 What are some warning signs you need a new roof? If the roof on your house isn’t doing its job, the whole home is at risk. Inspecting and maintaining your roof will help extend its lifetime, but over time, your roof will inevitably wear out. It’s important to understand the warning signs you need a new roof. If you have moss growing on the roof, it can be more than a cosmetic issue. It generally means there’s some trapped moisture that is encouraging the moss to grow. Moss growing on roofs can damage the shingles and warp them by pushing them upwards. If you only have a small amount of moss, you may be able to buy some time by removing it with a moss killing product, but if it is widespread across the roof, it may be a warning sign you need a new roof. If you notice a large number of shingles are curling up or warped, you should investigate it further. Distorted shingles are a good sign that trapped moisture in that area is affecting your roof. Plus, if they’re left in that state, they could cause more damage from water getting up underneath the shingles. Finding a roof leak doesn’t necessarily mean you have to replace your roof. Sometimes, it just needs to be repaired. However, if the leak continues or if you have multiple leaks, there could be a major issue going on. In order to fix the problem, you may need to replace the entire roof to best protect your home from water damage. If you’re in your attic and you notice several places where sunlight is coming in through small cracks, it means that water can get through your roof also. Replacing the roof will help you avoid water damage and pest infestations later on. Now that you know some warning signs you need a new roof, it’s important not to let them go unexamined or unresolved. Water leaks, for example, can cause structural damage to your home The longer you have trapped moisture in it, the more damage to the wood it will cause. You must replace the wood underlayment and the shingles, costing you significantly more money. Also, old shingles are less effective in protecting your roof from the elements, so more structural damage can easily happen. Letting these issues go without fixing them will do more harm than good, especially to your wallet. Always be on the lookout for warning signs you need a new roof. The faster you spot the problems, the easier it will be to get them resolved. Now that you know 5 of the most common signs that you need a replacement, you can keep a close eye on your roof. By spotting issues long before they become a major problem, you can avoid the big challenges you would otherwise have to face. Professional Inspection Network provides home inspection services for Los Angeles, San Diego, and the surrounding areas. Contact us to schedule an appointment.